WHAT IS A SERVICE BUREAU? As opposed to a database vendor who only offers a database that you require people to operate, a Service Bureau, specifically Oaktree Systems offers a robust, full featured multi-channel (all revenue streams) database for your staff to use in their marketing and fundraising efforts AND the full menu of services necessary to effectively support your marketing efforts including donor support, customer service and all donor recognition services like acknowledgements, and more. BUT you have the choice of using any or all of the services we offer. WHY CHOOSE A SERVICE BUREAU? We free your staff to do what you need them to do – raise funds. Short staffed or no staff? Use ours: Our staff only works with Nonprofit Organizations so they have the cumulative knowledge gained over years of working with experienced marketers. You have better control over costs: We will recommend opportunities to save money. 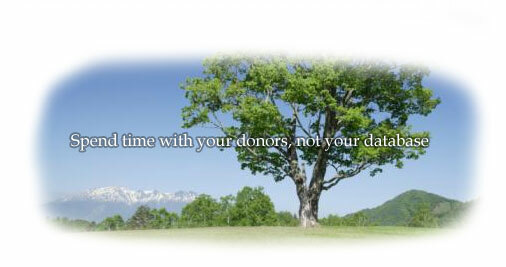 We keep your data clean and current so your marketing and fundraising efforts can be optimized. Using our services allows you to deploy your financial investment more effectively. Full service or you can pick or choose the services you would like us to provide: Multi-channel databases, lockbox/caging, data	entry and or scanning, payment processing, premium fulfillment, product fulfillment, ecommerce sites and hosting, acknowledgement fulfillment, customer service phone lines inbound and outbound, tax letters, etc. All services are performed at our facility by our staff. Turnover protection: If you have staff turnover among those who are in your database management, database marketing, customer service, donor support or donor recognition areas, you can lose ground quickly reducing your ability to raise funds or provide timely donor/customer support. Our staff is cross-trained and everyone has backups so if we are either supplementing your staff or performing those functions directly, you can continue operating without a hiccup. Single point of contact: One person on our staff is assigned to manage any and all of the services we provide to you. Of course you can speak to anyone on our staff at any time but there is one person who manages and is responsible for making decisions. Functional Operating Economy: Fewer moving parts, fewer monthly bills, faster performance and greater coordination within one set of walls yields greater efficiency and satisfied organizations and donors. Functional Operating Accountability: We only work with Nonprofit Organizations so we are well versed in the intricacies of the market and are fully accountable for the work we perform. If we identify a problem or receive a communication from you or a donor detailing an issue, we can act on it immediately – before it becomes a larger problem. Knowledge of your Account, Operations and Business Policies: Once we have it down, we can identify anomalies and bring them to your attention before they become a problem. Cloud based: Our secure multi-channel databases, which are separate for each client (not pooled with other organizations) are Cloud based so they can be accessed from anywhere there is connectivity. We have had Internet based databases for over 20 years so this is not new for us. No software to buy or install and no technical expertise required: When we deploy an upgrade to our databases it is done automatically and requires no client involvement. You can choose who within your organization has access to the database: Only a few or many it is up to you. Each user has an individual username and encrypted secure password and can be assigned the rights to perform any system function you like from data entry and customer service to generating reports or queries. We do the data conversions in-house: When the conversion is complete, you are up and running and so are we. If something needs to be modified we take care of it directly and you do not have to chase a third party who has already been paid and may be reluctant to come back without being paid an additional sum.